Hail all noble space station sanitation engineers and hygiene technicians, time for a small update on proceedings. Progress has been a bit slower over the last two weeks with lots of other things going on. ShadowBlade, especially, has been preoccupied so there has not been much change on the maps. There has been some advancement, though, and we are expecting to be able to get back up to full speed moving on from next week. 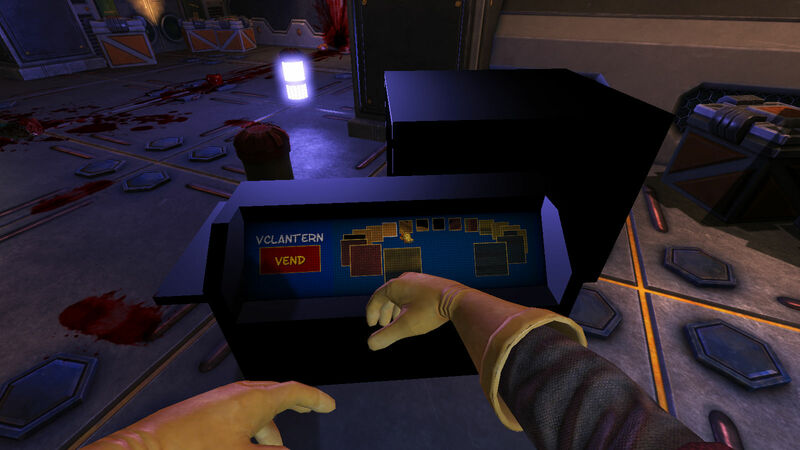 This new machine (ignore the fugly placeholder mesh) will be able to provide the janitor with all kinds of equipment needed to clean up or repair and replace damaged parts of the facility. If those pesky marines blew up all the video monitors or stole all the medical supplies, this is where the replacements would come from. It can also provide new lanterns for working in the dark or anything else we come up with down the line. 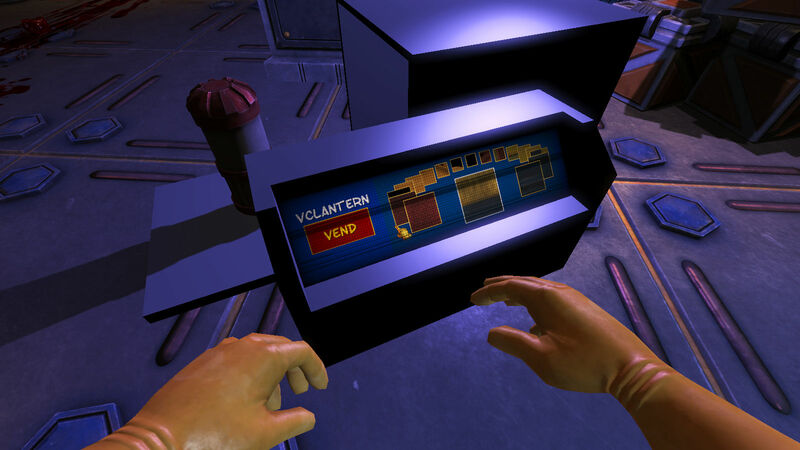 In keeping with our design of having minimal HUD and on-screen UI, we have a system for putting the UI on a panel on the side of the machine. 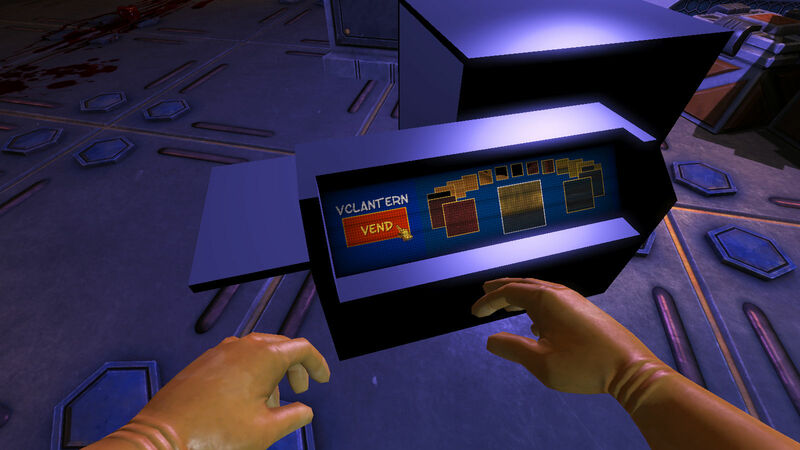 These in-world UI panels can be operated using the janitor hands. 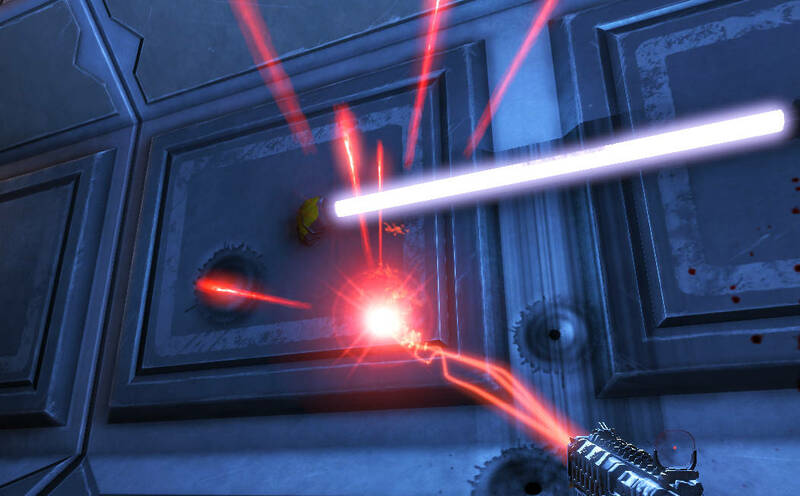 The laser will be used for repairing bullet holes, scratches and other types of damage or deposits that the mop can’t deal with. It may also have a few other nifty uses and devious traits. There has also been work on improving the mopping and bucket when cleaning up scorch marks. As always, there are also many other fixes and smaller changes and plenty more to come before the next version. You are currently browsing the RuneStorm Blog blog archives for September, 2013.